Mayor Martin J. Walsh is expected to head next week to China,where he will deliver an address on climate change, focusing on how Boston has moved to improve air quality by reducing carbon emissions. 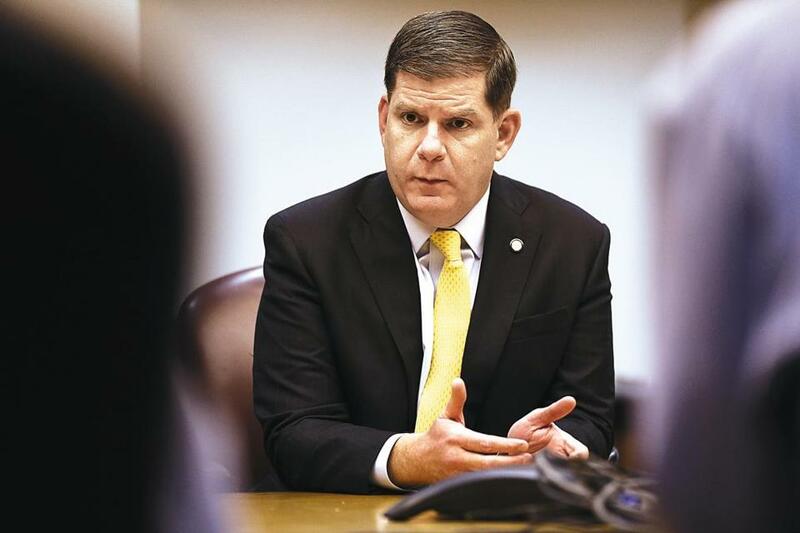 Walsh is scheduled to depart Sunday for Beijing for a seminar that will include leaders of 20 local US governments and officials from more than 40 Chinese municipalities, according to a statement released Thursday by the Walsh administration. “Boston has made significant progress on climate action, and I am honored to share best practices with cities from around the world,” Walsh said in a statement. Air pollution is a major problem in China and was the focus of an agreement between President Obama and Chinese leaders. Walsh’s trip is being organized by the US-China Climate Change Working Group, an outgrowth of the agreement between the countries. Walsh is scheduled to return Wednesday evening to Boston, according to the mayor’s office. He will be accompanied by Austin Blackmon, the city’s chief of environment, energy, and open space. A private foundation, Bloomberg Philanthropies, is paying for the trip, Bonnie McGilpin, a Walsh spokeswoman, wrote in an e-mail. John R. Ellement can be reached at ellement@globe.com. Follow him on Twitter @JREbosglobe. Andrew Ryan can be reached at acryan@globe.com. Follow him on Twitter @globeandrewryan.